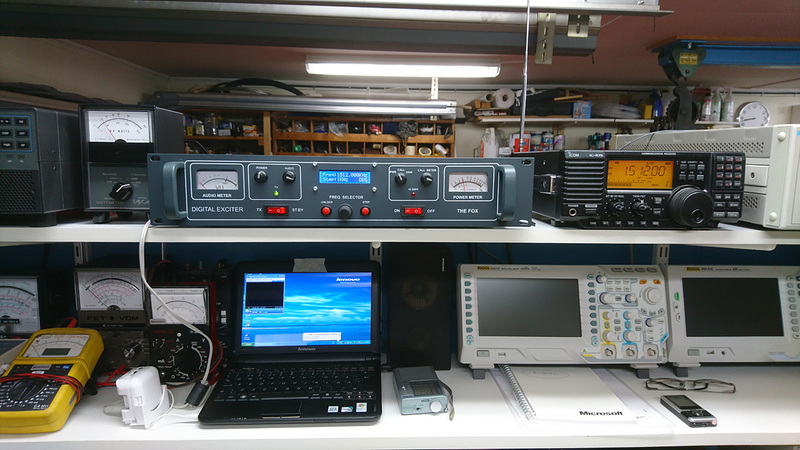 Picture of my little medium wave transmitter, 10 Watt output to double inverted L-antenna. 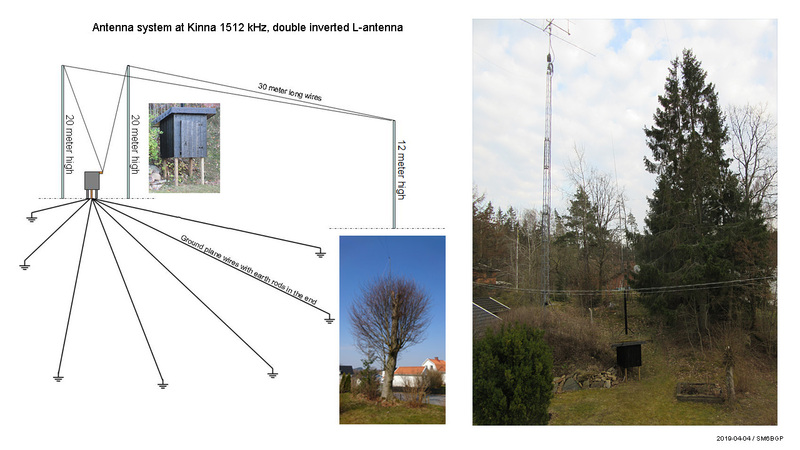 Antenna layout with some pictures, the tuner house, 12 meter high tree. The big picture showing tower and side of that the 20 meter high tree, supporting the vertical parts of the wires.